CHARLESTON, W.Va. - Nov. 28, 2016 - PRLog -- This week, citizens have a chance to say thank you to a demographic that is often overlooked--the working dogs who are serving in all branches of the U.S. military. #Giving Tuesday is a global day of giving, which kicks off the charitable season when many people make yearend gifts to aid a variety of humanitarian and animal causes.The Military Working Dog Team Support Association (MWDTSA) will be collecting monetary donations on #Giving Tuesday to fund quarterly care packages for military working dogs (MWDs) and their handlers who are currently deployed in conflict zones. 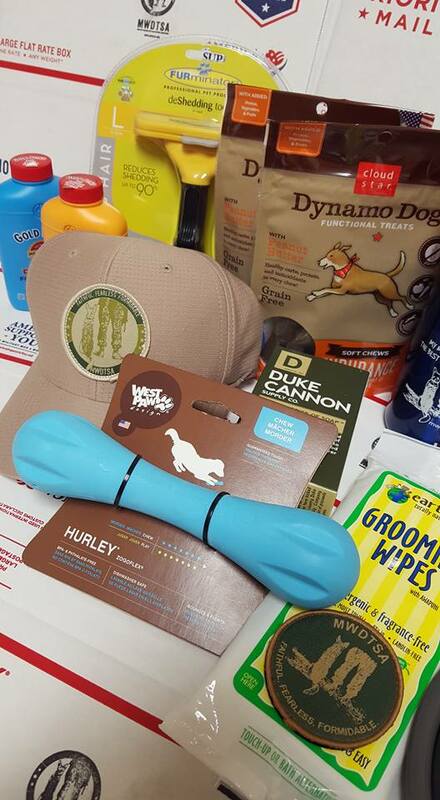 These packages include essentials like paw or eye protection for the dogs, as well as comfort items for both the MWDs and their handlers. To send just one box requires approximately $150 in products and postage. Founded in 2006, MWDTSA also provides services to stateside military kennels and retired MWDs. For example, the organization sends Honor boxes to retired MWDs for K9 Veteran's Day. These contain joint supplements and other care products, along with a few treats to reward the service of these special animals. Since MWDTSA is an all-volunteer organization, every donation supports MWDs and their handlers, instead of expensive overhead. As part of this Thanksgiving season, please join us in expressing gratitude to these MWD teams who protect our troops through explosives detection, tracking, patrolling, specialized search, and drug detection. To make a #Giving Tuesday contribution to MWDTSA, visit http://mwdtsa.org/donate/. For more information on MWDTSA and its mission, contact Nikki Rohrig at president@mwdtsa.org.